What are their Qualifications? Make sure your Pet Sitter/Dog Walker is certified to care for your pet. Pet Sitting/Dog Walking is generally an unregulated industry but there are nationally recognized standards and professional organizations that set criteria and certify qualified professionals. Check with the Pet Care Services Association for their 3 levels of certification; 1) Certified Pet Care Technician (CPCT); 2) Certified Advanced Pet Care Technician (CAPCT); Certified Kennel Operator (CKO). Make sure your Pet Sitter/Dog Walker is certified with a nationally recognized organization. Ask to see their certificate and make sure it is current. You are paying for a trained professional and that’s what you should be getting. Who trains their staff? In addition to the company’s qualifications you should ask them how they train their staff and if they have an internal certification process. It is important to know who within the company is responsible for staff training and maintaining standards. What is their Work Ethic and Professional reputation in your community? Does your Pet Sitter/Dog Walker look, dress, and act professional? If you can, observe your Pet Sitter/Dog Walker on the job with other clients. Watch how they handle the pets in their care. Are they on their cell phone or “texting” while they are supposed to be watching their clients at the Dog Park or are they fully attentive and interacting with the pets in their charge? What are the company’s mission, values and ethics? Check the company’s website and marketing literature. What is their vision and do they explicitly state their ethics? If they do what they say will tell you a lot about how they view their profession and it is something you can compare their performance against. If they do not explicitly state their values and ethics why not? What is their philosophy on animal handling and care and what kind and type of equipment to they provide and use? Know what type of equipment your Pet Sitter/Dog Walker use and what they provide. Do they use choke chains? How many dogs are they willing to walk at once? Many Pet Sitters/Dog Walkers will not use certain types of collars and leashes for safety reasons and they limit the number of dogs they will walk at one time. This assures the safety and well-being of the animals they are responsible for. Can they provide references? Ask the Pet Sitter/Dog Walker for references from past and current clients. Customers are usually happy to share their opinion. They will be happy to tell you their experience. 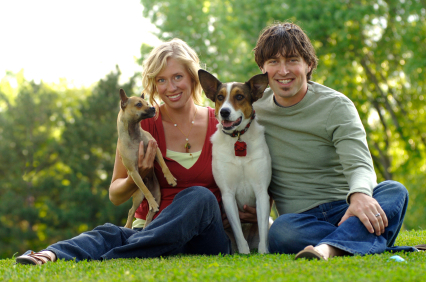 Do you and your pets have chemistry with the Pet Sitter/Dog Walker? You want to feel good about your Pet Sitter/Dog Walker and be able to trust them to look after your pets so personal chemistry is important. Chemistry is also important between your pets and the Pet Sitter/Dog Walker. Pet Sitting/Dog Walking is a personal relationship so you must hire someone you can have confidence in. Make sure you are happy with the person who will actually be caring for your pets. They should be patient during the initial consultation and answer all of your questions. What is their knowledge base? Does your Pet Sitting/Dog Walking Company understand animal behavior, first aid, nutrition and emergency procedures? Ask some tough questions that will reveal their knowledge or lack of knowledge. And how do they handle questions they don’t know? Do they try to “snow” you are do they simply admit that they don’t’ know? And finally, do they have Liability Insurance and Bonding? Hopefully, if you gone through the previous 9 steps this last step will never matter. However, accidents do happen and you should make sure that your Pet Sitter/Dog Walker carries the appropriate Liability Insurance and that they are fully bonded. Remember if you make an effort to learn about your pet sitting/dog walking professional you will be rewarded with a reliable and trustworthy Pet Sitter for your beloved pet family members. For more information visit www.DogSmith.com. This entry was posted in Pet Care Articles & Tips and tagged Dog Training, pet care, pet care provider, professional on June 1, 2010 by DogSmith.